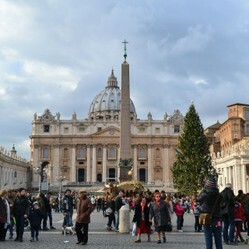 The Christmas season is one of the best times of the year to visit Rome, Italy. 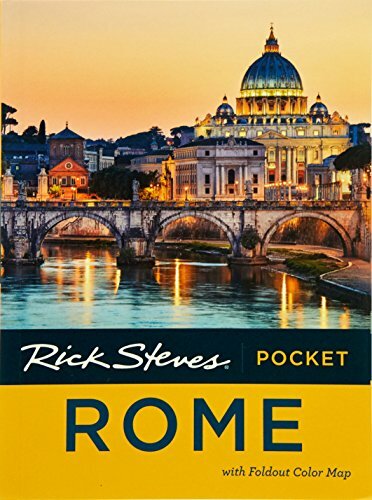 Rome is a magical city to visit during the Christmas season. For Christians it can certainly be a wonderful spiritual journey, visiting the "mother church" of their faith or perhaps attending midnight mass at St. Peter's Basilica. But it is also a fun and beautiful season to see the holiday lights around the city, shop for holiday bargains, or experience special performances and concerts. Even if you don't leave for Rome until after the New Year, you can still experience much of the Christmas magic in the city. Italians celebrate the Epiphany on January 6 almost more so than Christmas day as the time for gift giving and awaiting the arrival of "La Befana". 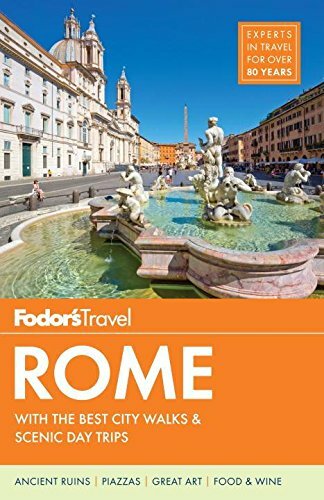 Let me take you on a brief tour of the things to see and do if you find yourself in Rome for Christmas. Image above: Crowds in St. Peter's Square in January 2014. All photographs on this page are by the author, sockii, unless provided by Amazon. But even if you can't make it to midnight mass, you can still attend services at one of the other magnificent Catholic churches in the city. Be sure not to miss the Archbasilica of St. John Lateran, which is actually the "mother church" of Roman Catholicism. St. John Lateran is the official ecclesiastical seat of the Bishop of Rome (that is, the Pope), therefore it actually ranks higher in importance than St. Peter's. The church is absolutely stunning and mass is held there regularly throughout the day (see schedule). Near St. John's you can also visit the moving Scala Sancta or "Holy Steps", which pilgrims climb on their knees in prayer and remembrance of the Passion of Christ. An elaborate lighted nativity scene in a Roman church. Nativity scenes are a popular Christmas tradition throughout Italy, and Rome is no exception. Step inside any Catholic church in Rome and you will find a nativity on display during the season. Some are simple manger scenes featuring the Holy Family and a few landscape elements, however many are quite large and elaborate featuring entire small villages filled with hundreds of figures, lights and even running water! In 1982, Pope John Paul II started the tradition of placing a nativity scene in St. Peter’s Square. This large, traditional nativity draws many visitors every year, but is only one of so many on public display in the season! Wander the city and delight in the diversity of these nativities, or maybe shop for figurines and sets for your own home. A tradition started by beloved Pope John Paul II. An elaborate creche on top of the Spanish Steps, set up to resemble a small village. Every church has its own creche, some fancy, some simple. Even the Pantheon has a small yet beautiful nativity scene. Piazza Navona is a must-visit during the holiday season, as every year it is transformed into a bustling marketplace. Between Christmas and the Epiphany, you will find the piazza packed with vendors selling candy, sugar charcoal, toys, pork sandwiches and paninis, hot drinks, roasted chestnuts and other seasonal treats. Roman tradition states that La Befana - the good witch of Christmas who brings treats to the children - will appear at midnight on January 6, at a window along the piazza. So many will come to the piazza at that time to look for her on their way to and from Epiphany feasts. Piazza Navona during the holiday season. TimeOut Rome: search for performances, concerts, and other special events taking place in Rome any time of the year. Colorful lights decorate many of the major pedestrian streets of Rome at Christmas. 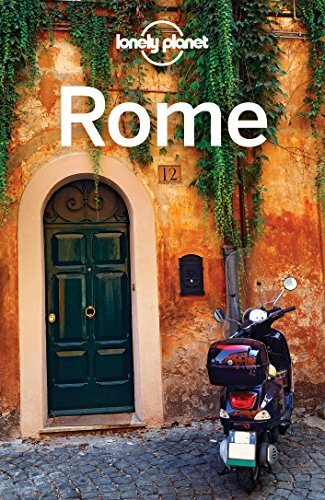 If you love to shop for high fashion, jewelry, leather and other designer label goods, Rome is a top destination year-round. However during the Christmas season this is particularly the case as many stores may be running special sales (especially afterChristmas) that make it a perfect place for bargain hunting...or blowing your budget! If you love to shop - as well as to simply get lost in swarms of people - take a slow walk up Via del Corso in Rome during the holiday season. Normally crowded with pedestrians, especially during the evening passeggiata, the street becomes an absolute swarm of humanity at this time of year. The crowds are thick the entire length of the road from Piazza Venezia all the way to Piazza del Popolo, spreading out especially near the Spanish Steps to encompass all the smaller shopping-oriented streets in that area. It can be a fun if dizzying experience, but if it gets too much for you, just slip into a small bar or cafe for a hot chocolate or a glass of wine to relax and rest your feet. Crowds of shoppers out in front of the Spanish Steps during the Christmas season. You should however be prepared for occasional light or heavy rainstorms, so pack your umbrellas and other wet weather gear. Don't forget: When in Rome, the Christmas greeting is "Buon Natale!" Excellent. 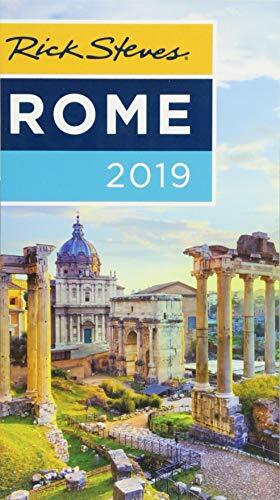 I have visited Rome four times, but with the exception of the pope's Christmas urbi et orbi blessing I never read or experienced anything of Christmas in that city. I think that your article meets a need for information. Thank you, Mira! I love traveling and writing about my experiences. I hope to be able to provide useful tips and experiences on a personal level to others. 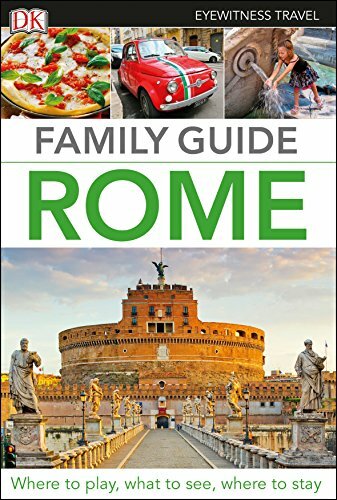 The ancient city of Rome is home to some of the world's most recognizable landmarks...and many Christmas ornaments commemorate them!